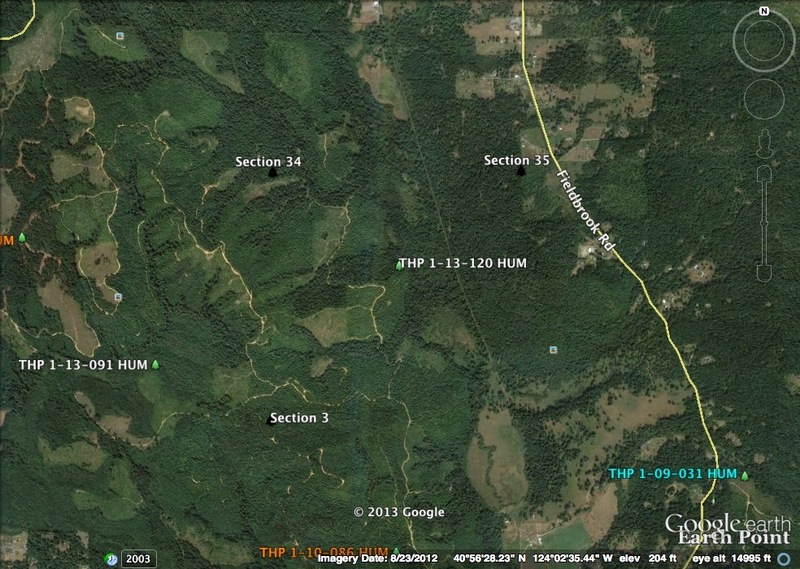 THPBlog: Green Diamond Resource Company planning to clearcut near McKinleyville, CA. Green Diamond Resource Company planning to clearcut near McKinleyville, CA. 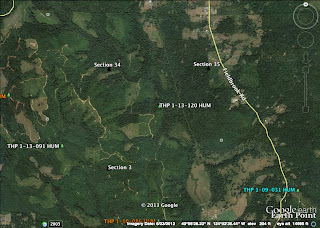 This THP is a few miles east of McKinleyville, CA and Highway 101 at an elevation of 200 to 600 feet. Green Diamond Resource Company is planning a feller buncher, shovel and cable logging operation with a significant amount of clearcutting in redwood, Douglas fir and white fir forests. The THP area flows into the Mad River which is listed as impaired for sediment, siltation and temperature, and is an important coastal cutthroat trout, steelhead, chinook and coho salmon fishery. Over 5,500 feet of new seasonal and temporary road construction is planned, and Green Diamond Resource Company wants to use 300 feet of a road within unit B in a class I and class II watercourse. Spotted owls were reported to be within .25 mi of unit B, and .5 mi of units A and C. More information is available on the THP Tracking Center website.